24.11.2007 - Water Shiatsu is the world’s first form of aquatic bodywork. It is designed to utilise the pressure points of zen shiatsu in order to open up the nerve pathways along the body’s meridians. Playa de San Juan - 24.11.2007 - Italy is practically a synonym for style and flair and Italians are traditionally recognised as the epitome of the art of classy, quality decoration, both of themselves and their homes. But you don’t need to go that far for the best selection in the international market. 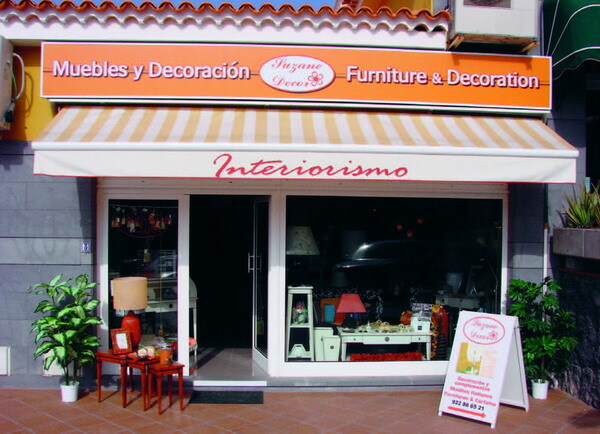 Here at Suzane Décor, in the south of Tenerife at Playa de San Juan, Venetian-born Luciana has one of the most exquisite selections in the Canaries of quality furniture, soft furnishings and trimmings on offer and she’s available every morning to advise you in your own language. Los Cristianos - 24.11.2007 - Walk through the door at Blueberry Bobs and you immediately enter a world of pampering. It may be a hairdressers, but sitting down in the chair is the start of ten minutes of a complementary head and back massage, relaxing those tensed-up muscles and putting you in the right mood for your hair experience. Las Américas - 24.11.2007 - From December 6th - 9th the Bahia del Arte Galería are hosting a Living and Lifestyle trade fair. 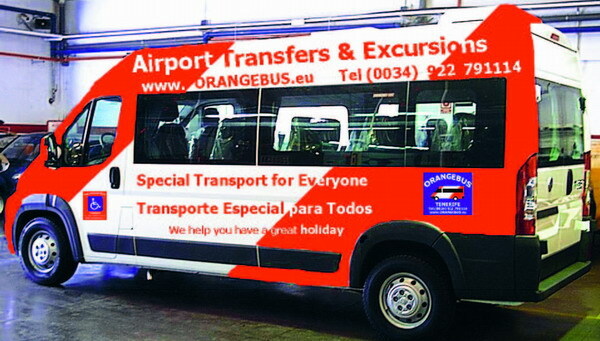 24.11.2007 - Orange Badge, the specialist mobility company established for twelve years in the south of Tenerife, are proud to introduce the OrangeBus. Gone are the days when a disabled person had to rely on the wheelchair service supplied on arrival at Tenerife’s Reina Sofia Airport, only to find that this service extended only as far as the baggage reclaim area, where you would somehow have to find your baggage, haul it off the belt and get yourself out of the airport and to your accommodation. Produced with news.CMS in 0,2507 seconds.